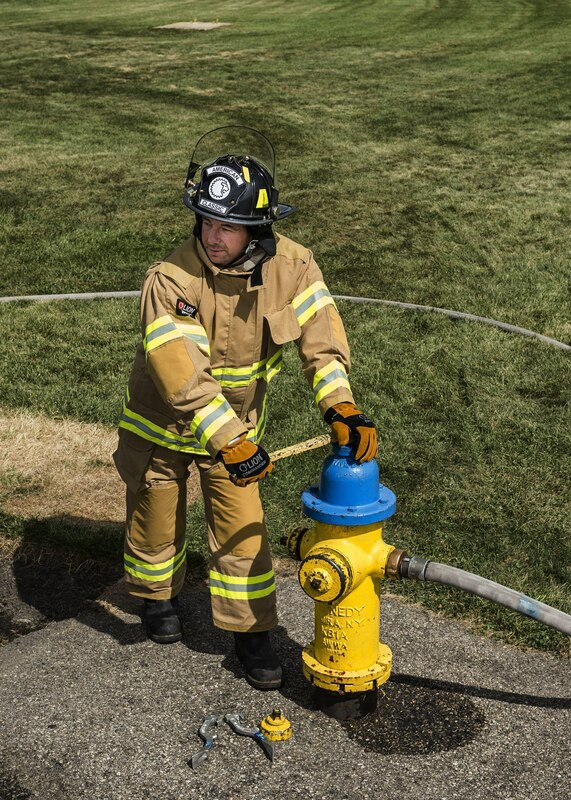 Ships Within a Week: Get new personnel on-board faster with turnout gear that gets to you quickly. Freedom® Design: Mobility and comfort come standard, including bellowed elbows and knees. Two Turnout Options: Choose between LIONExpress Khaki Armor AP™ or Gold Armor AP™. Protection: Lightweight protection that moves with you. This LIONExpress turnout coat and pant features the Isodri Moisture Management system to help keep you drier, safer, and more comfortable. In addition, the coat has a bi-swing back, underarm bellows and Freedom elbow for outstanding comfort and mobility. The low-rise pant offers a radial inseam and reinforced Freedom knee design with Lite-n-Dri cushioning for superior comfort, mobility, and protection. This LIONExpress turnout coat features a Freedom elbow and underarm bellows designed to enhance mobility and comfort. The low-rise pant offers a contoured shape with knee reinforcements and Lite-n-Dri cushioning for superior comfort, fit, and protection. Khaki Armor AP | 6.5 osy comfort twill weave Nomex®/Kevlar® spun yarn/filament offers great flexibility, durability, and protection. Gold Armor AP | 6.5 osy comfort twill weave Nomex®/Kevlar® spun yarn/ filament offers great flexibility, durability, and protection. Khaki Armor AP | Gore RT7100™ a reliable combination of durability, breathability, thermal and liquid protection. Gold Armor AP | Crosstech® Black long-lasting protection and breathability even after exposure to extreme heat. Khaki Armor AP | Prism™ Pure Prism face cloth quilted to a Kevlar/ Nomex batt for a good balance of TPP and THL. Gold Armor AP | Glide Ice™ 2L Araflo® Isodri High-lubricity Glide Ice face cloth quilted to two layers of durable water repellant Kevlar/Nomex E-89 spunlace (2.3 and 1.5 Araflo) for lightweight thermal protection and optimal moisture management. Khaki Armor AP | Elbows, shoulder caps, and coat cuffs reinforced with extra layer of Armor AP knees and pant cuffs reinforced with gold polymer-coated aramid. 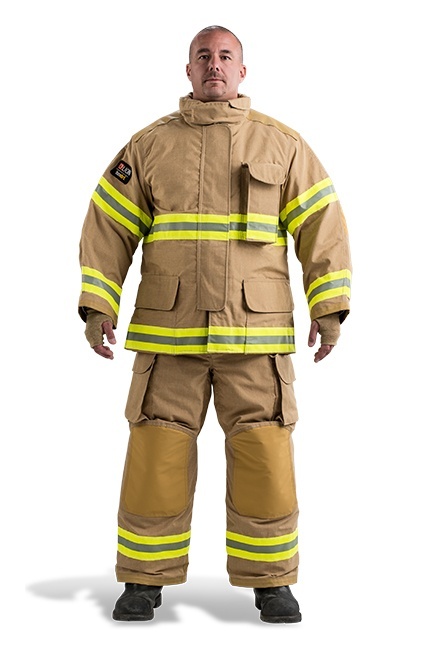 Gold Armor AP | Elbows, shoulder caps, knees, coat and pant cuffs reinforced with gold polymer-coated aramid.